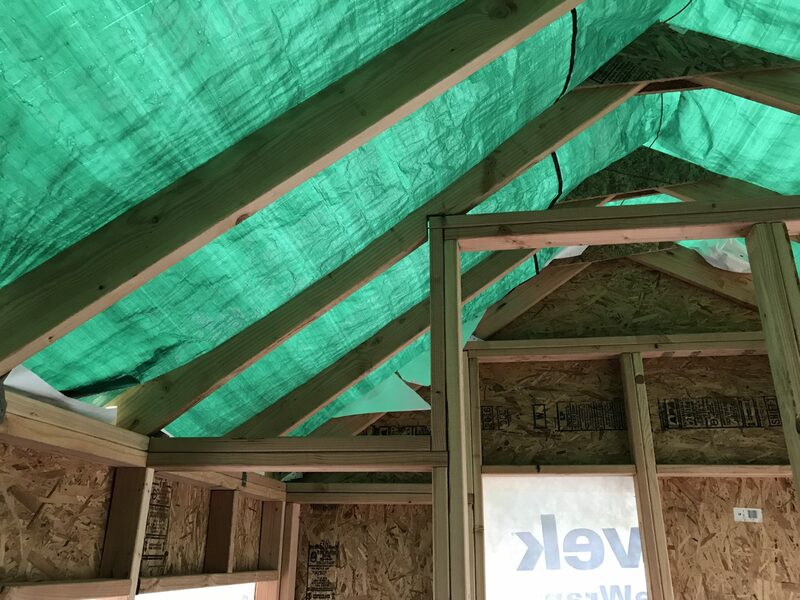 I didn’t have time yesterday after sheathing the walls, though I did add the canopy over the roof. 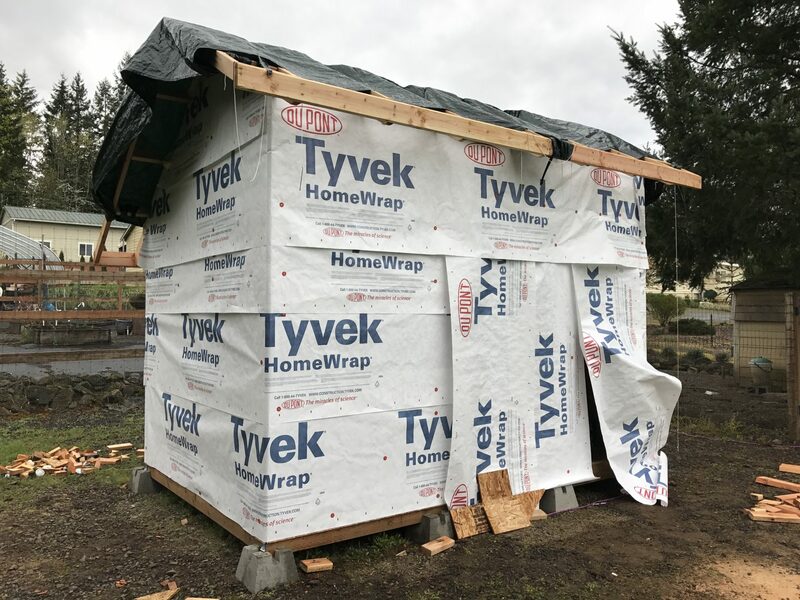 So this morning I added the Tyvek wrap to waterproof the walls. Certainly not as tidy as a professional builder would do, but that’s consistent with the rest of the construction. 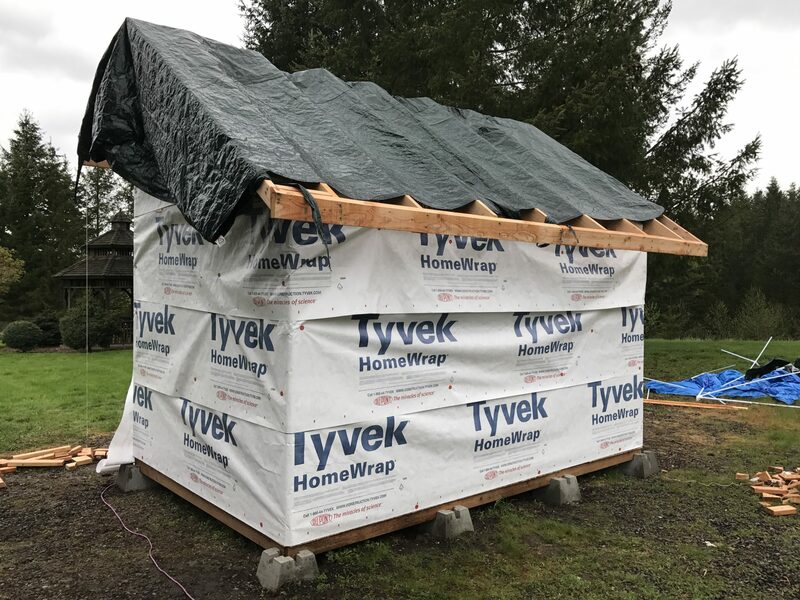 The wrap covers all of the windows and doors at present (with loose vertical sheets temporarily over the front window and door, to keep the rain out). Later, I’ll cut holes where needed.